This week’s topic is “Ten Childhood Characters You’d Love To Revisit As Adults,” and I’ll admit it is a tough one. There are so many characters I’d love to know about how they are as adults. This is very similar to a previous Top Ten I did a year ago so I purposely chose new ones and tried to stick with kids 😉 As always, my list is in no particular order. The Aldens from The Boxcar Children series by Gertrude Chandler Warner was one of the first series I ever remember reading. I loved the short, suspenseful mysteries that the children stumbled upon. I can still remember the first time I picked one of the books up in the third grade. I devoured the series! I would love to see what happened to the Aldens now that they are all grown up and most likely have children (maybe even grandchildren) of their own. 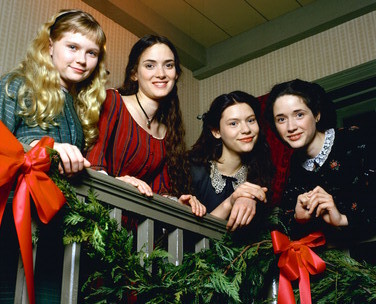 Jo, Meg and Amy from Little Women by Louisa May Alcott has always been a favorite of mine. I’ve read it countless times over the years and plan to read it again soon. Jo, Meg, Amy, and Beth stuck with me growing up. No matter what age I was I found a different character or aspect of the story to relate to. Now I know the author wrote sequels to the story, but Meg, Jo and Amy don’t really feature in the books the way they are in this one. I’d love to sit down and have a chat with the adult Jo. Charlie Buckett from Charlie and the Chocolate Factory by Roald Dahl is another favorite. I fell in love with Roald Dahl at a young age. I liked the dark and twisted stories he wrote, full of fantastical ideas. Charlie is one of my favorite Dahl characters. I would love to see how he is handling the Chocolate Factory as an adult. Did he turn out as wonky as Willy Wonka or did his family keep him grounded? Pippi from Pippi Longstocking by Astrid Lindgren I lived vicariously through Pippi. She made her own choices, was responsible(-ish) and lived alone. Though I found the living alone part would be lonely. I wonder how this carefree girl turned out as an adult. Is she still kind, generous and a bit odd? Alice from Alice’s Adventures in Wonderland by Lewis Carroll is an all-time favorite. I love all things Wonderland, even as an adult. Alice falling through the rabbit hole intrigued me. I can only imagine how scary the world was to her and I wonder how sane she was as an adult. Wendy Darling from Peter Pan by J.M. Barrie Have any of you ever read the original story of Peter Pan? It’s dark and twisted for sure! In all honesty I’m not sure how I feel about it having read it recently. 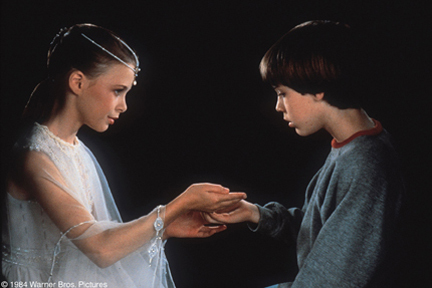 As a kid, I wanted to be a lost boy with Peter or be Wendy. Now not so much. 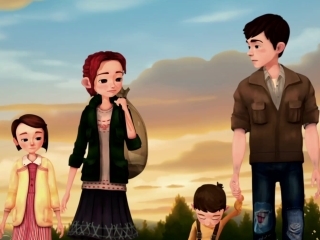 I wonder just how Wendy turned out, being abducted from her home for a few weeks a year by a boy who never grew up and then to have her daughters be treated the same way…. Christopher Robin from The Many Adventures of Winnie the Pooh by A.A. Milne What an imagination this kid had! Creating the 100-acre woods in his bedroom with his stuffed animals?! So cool! My over-active brain imagines Christopher Robin as growing up to be Walt Disney. Bastian from The Neverending Story by Michael Ende Ultimate read for book lovers, a book that comes alive LITERALLY! Bastian falls inside the book and works to rescue the empress. Bastian’s adventures in Fantastica brought me into the world of fantasy reading. I loved every word. I often wonder if Bastian ever went back. Anna and Caleb from Sarah, Plain and Tall by Patricia MacLachlan was my first Western book and I adored it. Anna and Caleb are curious and a bit scared to meet their new mother. They only had a letter from her in which she says she is plain and tall. I would love to meet Anna and Caleb as adults to see how their lives were lived with their new mother. Dorothy from The Wonderful Wizard of Oz by L. Frank Baum I recently reread this book with my son and he loved it. 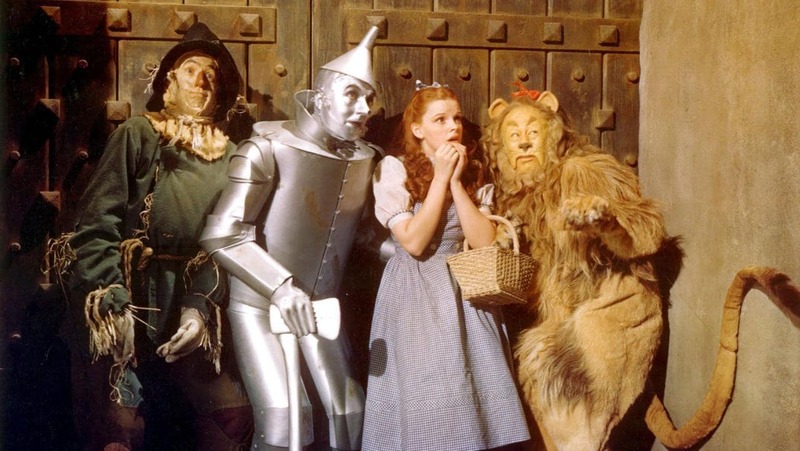 I didn’t remember how violent it could get though which of course got my adult brain wondering about PTSD for Dorothy. How did she adapt to coming home to dreary, gray Kansas? Did she ever return to Oz? I loved this weeks topic, there are so many characters I would love to revisit. You have picked some great ones, although a few of these are from books I still need to read. I would LOVE to catch up with the Little Women!!! And I would love to revisit Wendy as an adult. You can check out my list here. It’s an interesting topic, but tough too, to only pick ten characters. there are so many characters where I would like to see how they are as adults, definitely interesting to think about and wonder what they would be like as adult. Many of these characters listed are ones I don’t know, probably because I watched mostly dutch movies and series as a kid and not everything gets translated. Oh Alice in wonderland is a good one, I wonder how she is like an adult. I’ve never read the original Peter Pan, but I did hear many of the original fairytales are more dark and twisted than the ones from Disney. I did once read a more twisted my little mermaid story, but not sure if that was the original one or just another take on the story. This was a really tough topic. I ended up taking the easy route, but I love reading these! It’s fun to see what books other book lovers read as kids, and maybe even remember some books that you read! I remember reading some Pippi Longstocking books, but I was really into Junie B. Jones. Those were my favorite as a kid. Great list! Pippi: I think she would never change. She would grow old without growing “up” (i.e. becoming boring). A book about her then would be very similar to the existing books, but people would be amazed by the old lady who didn’t act like one (and could lift a horse).